The Grand Budapest Hotel follows the adventures of Gustave H (Ralph Fiennes), a legendary concierge at the Hotel, and a lobby boy, Zero Moustafa, who becomes Gustave’s most trusted friend. The Grand Budapest Hotel is an extremely funny film. It uses visual comedy as well as well as containing some wonderfully witty and dark dialogue, with Wes Anderson delivering one of the best film screenplays of the last decade. The film also contains a number of excellent performances, including Ralph Fiennes as the sophisticated, eccentric lothario Gustave, who is phenomenal in this role, playing both the comedic and dramatic aspects of the role to perfection. Tony Revolori (in his first major film role), is a revelation in this film, holding his own against an ensemble of experienced (some even veteran) actors. The Grand Budapest Hotel has an incredible ensemble cast, with Adrien Broady, Willem Dafoe, Saoirse Ronan, Tilda Swinton, Billy Muray, Edward Norton, Jeff Goldblum and a handful of others all adding to this great spectacle. The cinematography in this film is superb, with some truly amazing long shots, and a quirky style that creates a lot of funny moments. 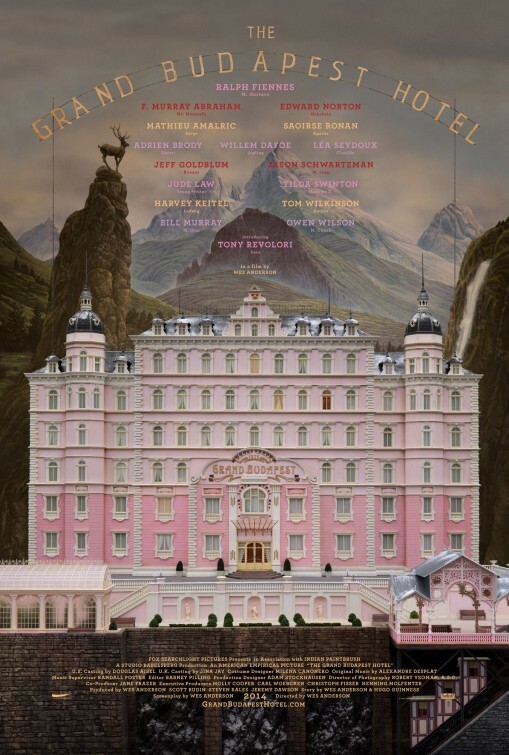 Overall, The Grand Budapest Hotel is a phenomenal film, which utilizes the talents of its stellar cast and manages to find the perfect middle-ground between style and substance. I cannot recommend this film highly enough.